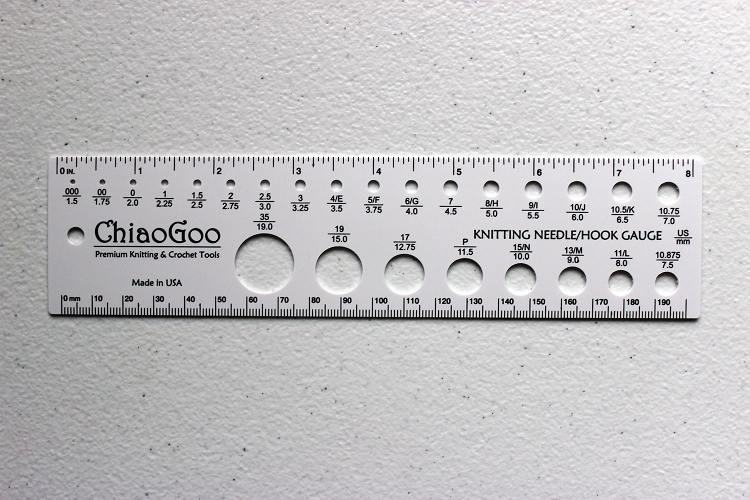 ChiaoGoo 8 inch (20 cm) Knitting Needle Gauge. Made of durable plastic. Sold individually. Made in the USA. Q: How small a needle does this gauge measure? Thanks.